I did it! 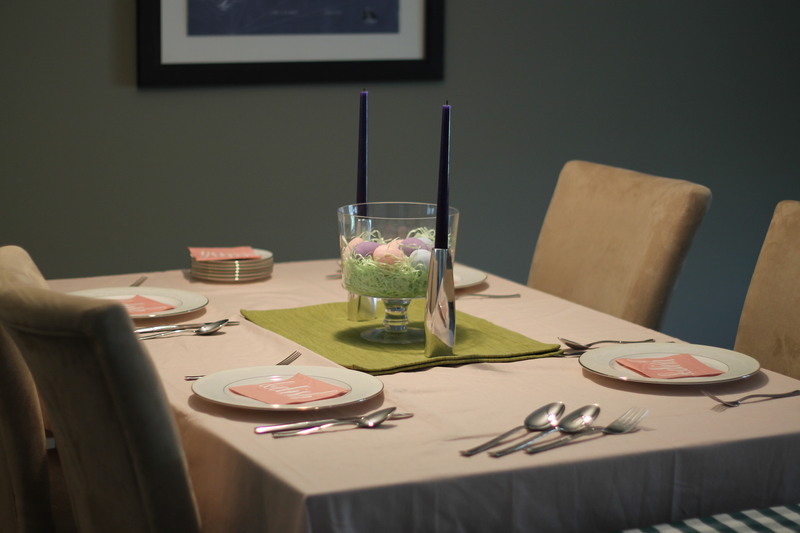 Not withstanding a little doubt in myself – i made Easter dinner. 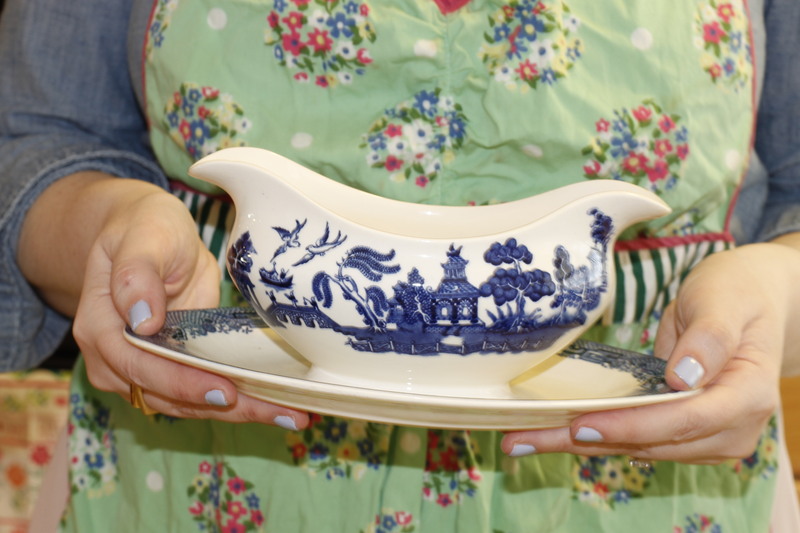 Here are a few of the things that I made and they are really simple and could be for any type of meal. 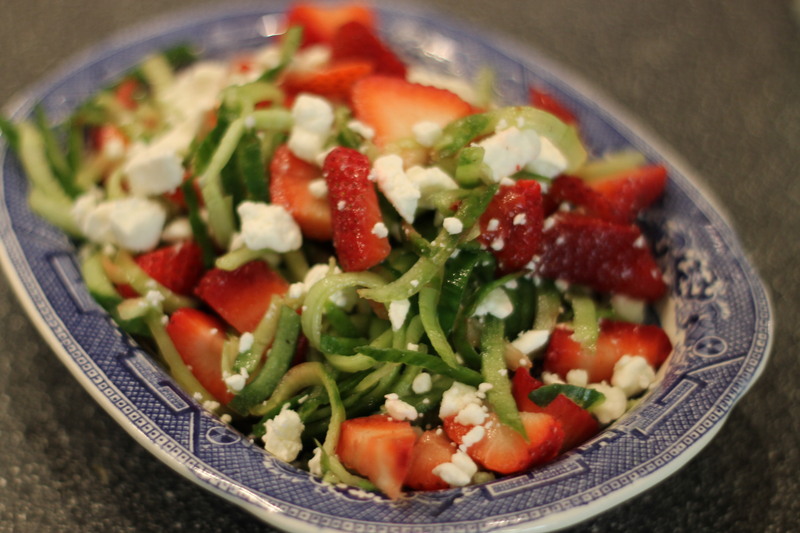 Cucumber, strawberry, feta salad with poppyseed dressing: First of all, so simple. You could slice the cucumber thinly or I used the veggetini to make them into noodles (i also cut them once in the bowl to make them a little easier to eat). Slice some strawberries and sprinkle feta throughout. You can increase, or decrease, any of the ingredients based on your personal preference. I didn’t realize this was going to be such a hit but it was. My father in law even said, “if no one else is going to eat this..I’ll finish it off!”. Pictured here is about 4 small persian cucumbers and around 6-8 strawberries. I can’t wait to pack this for lunch in the summer. 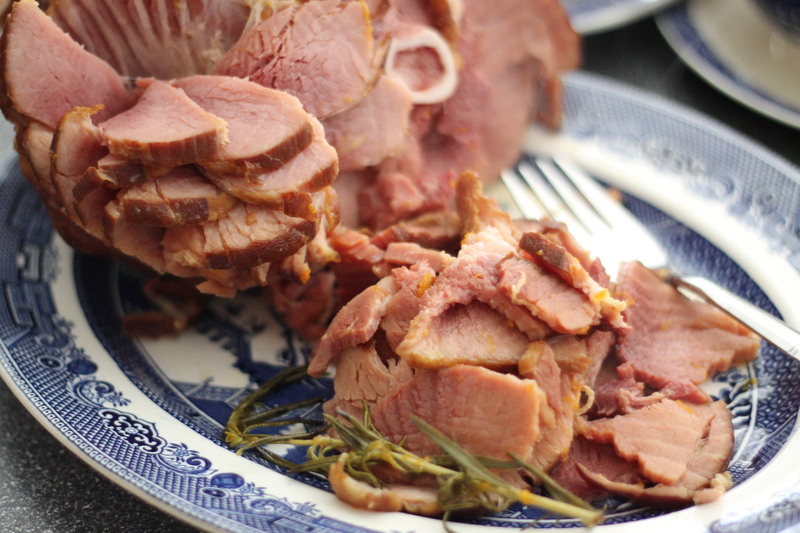 Slow Cooked Ham with an orange, apple and rosemary glaze: This was the very first ham I had ever made, and the source of all of my Easter anxiety. Luckily with a little peptalk from my grandmother I plunged ahead and it came out perfect. I had a 6.5 lb ham and had it on low for three hours and it was over the necessary temperature. 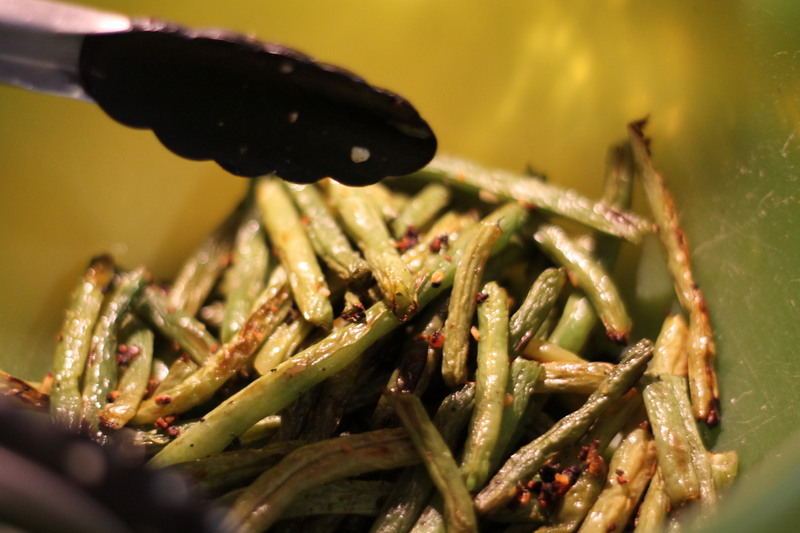 Roasted green beans: I make these all the time pour olive oil over the green beans and follow with minced garlic, pepper and a little garlic salt. I use tongs to make sure everything gets some seasoning and roast at 450 for about 15-20 minutes. I give quick stir at about 10 minutes. I love when they get shrively and brown. You might remember the centerpiece from here. 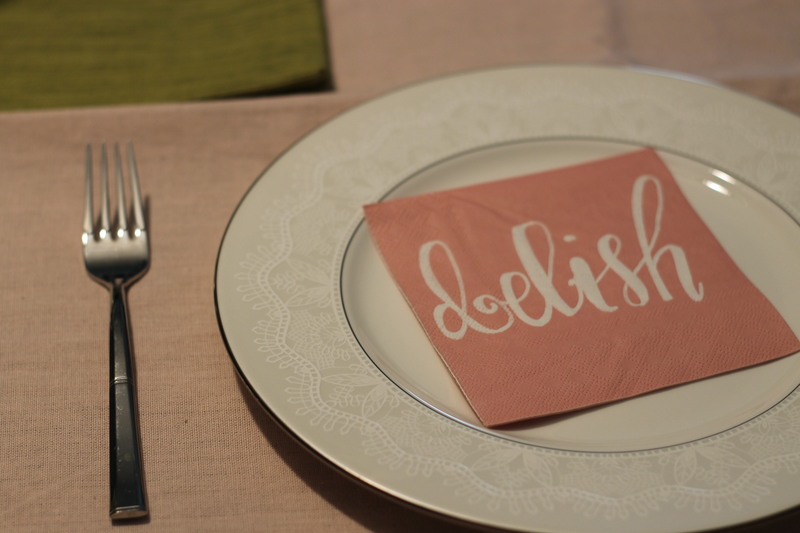 …and these cute napkins came from home goods! Glad to have my first real holiday hosting experience in the books! Categories: Good Eats, Good Times | Permalink. Well done! The centerpiece is adorable, and the food sound great. I might have to try that salad myself soon! We also hosted Easter yesterday and it was slightly chaotic but overall a success. One of my favorites to host since Ham is such an easy entred! Thank you! You will love the salad its perfect for a summer salad (and perfect side for a BBQ!). Happy to hear that your Easter was a success! !